RoyTheArtist and Friends: Another Thames view, Acrylic. 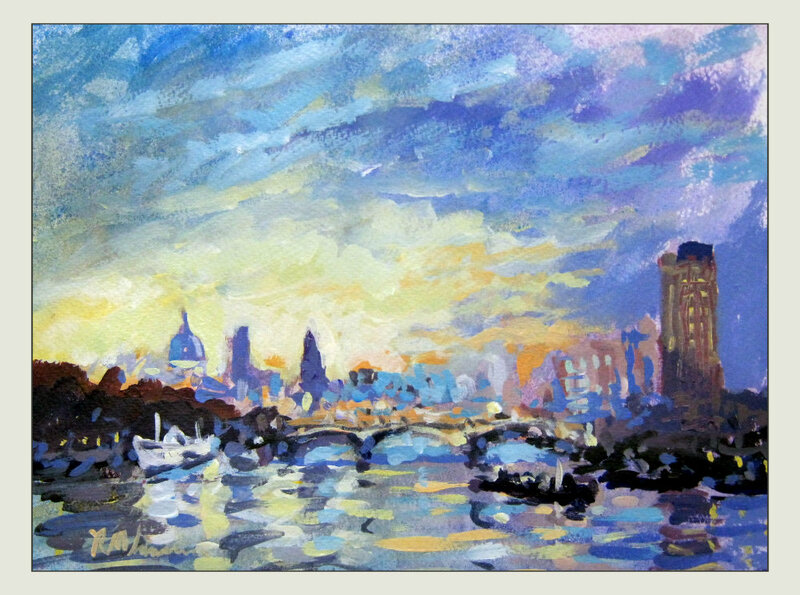 Thames light acrylic on paper 10 x 8". Started by spraying watercolor to create texture and tone. Worked acrylic onto this base while damp, so extends working time of the acrylic.